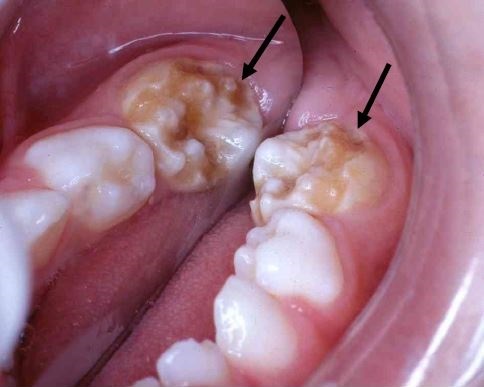 Restorative dentistry in Pediatric patients is very different compared to the Adult patients as the Decidious teeth are different in structure, shape and many other factors are to be considered. The main aspect is the thickness of the Enamel and Dentin which are much thinner when compared to permanent dentition which needs us to take more care in preparing cavities. The Restorative materials are also chosen depending on the type of dentition in question. The rest of the Armamentarium is almost similar to that of permanent dentition. Mouth Mirror or Odontoscope: Used as a secondary vision to help us view difficult places in the oral cavity, like the lingual surfaces of maxillary and andibular anteriors, maxillary posteriors etc. Shepard’s Hook: As the name suggests it is a Hook shaped sharp tip instrument used to help diagnose Caries in Pit and fissures, the tip is passed through suspected fissures and if there us “catch” we suspect Caries. Spoon Excavator (Short Shank): It is a spoon shaped double sided instrument which is used to manually excavate or scoop out Caries and infected dentin from the tooth surface. Burs: made up of mostly Stainless steel, Tungsten Carbide and Diamond Grit these are rotary instruments used to improve the efficiency and decrease the time taken to remove caries and cut the tooth structure. The main four burs used in Restorative Dentistry are: Round Bur (1/4, ½, 2, 4), Inverted Cone Bur (33 ½, 34), Straight Fissure Bur (557, 558), Tapered Fissure bur (169). These burs are comparatively smaller in dimensions to the burs used in Permanent Dentition. Mixing Instruments: These are instruments used in mixing the Temporary or Permanent Cements and also Lining agents and Bases. 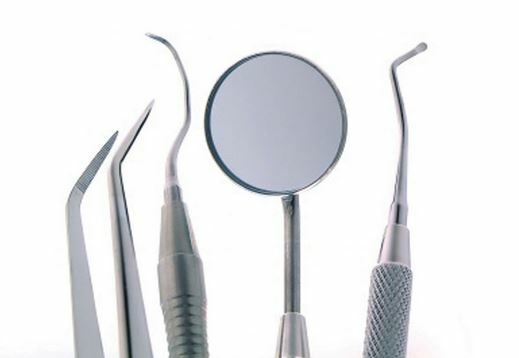 Transfer Instruments: These are instruments used in carrying the cement or material from the mixing surface to the tooth surface. Carving Instruments: These are sharp instruments which are used to carve out the excess material which was deposited in the cavity or tooth surface. These are also used to give a shape to the cement filling. Burnishers: These are blunt and smooth instruments which are used to smoothen out the surface of the filling and make it in line with the border of the tooth surface.